Evergreen used a huge eight-run first inning and added on to post a 14-3 ACME win over the Pettisville Blackbirds Thursday night in Pettisville. The Blackbirds chose to play with eight players when a ninth was injured in pre-game, but that deficiency only was visible one time as the Birds flopped outfielders to defend the strong side of the Viking hitters. 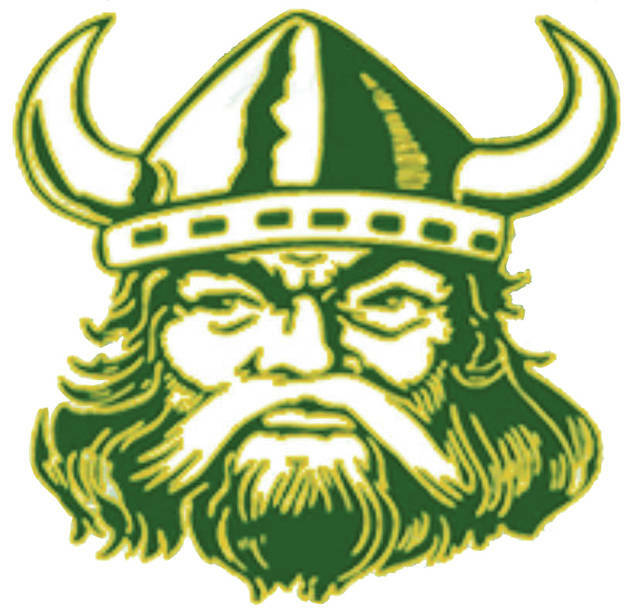 The Vikings struck right away when Mason Henricks walked and Adam Baumgartner roped a double into the right-center field gap to score the first run. Baumgartner was erased when Doug Barrett threw him out trying to advance to third on a short wild pitch but the Vikes began a roll right after that. Sam Lubinski and Brian Floyd walked before David Carroll’s double to deep center brought in the second run of the inning. Bryce Eisel and Tom Pollard followed with RBI singles to plate two more and make it 4-0. Zach Lumbrezer kept the inning going with a walk before Collin Loeffler’s base hit knocked in another run, and consecutive bases-loaded passes to Henricks, Baumgartner and Lubinski finished the onslaught. Pettisville answered in the bottom of the inning when Barrett and Tom McWatters singled with one out. Jake King reached on a walk to load the bases and Nate Keim scored all three runners with a booming double to right to get the Birds within 8-3. However Pettisville would go hitless the next four innings while Evergreen continued to score. Henricks run-scoring single marked a tally in the second to push the Vikes lead to 9-3. In the third with a runner at first, Carroll produced the only hit the found the invisible ninth man in the Blackbird defense as his line drive single to right, turned into a run producing double. The Vikings put the game away in the fourth tacking on four more runs. Lumbrezer’s second hit of the day started the rally. Loeffler reached on an error and Henricks walked for the third time in the game before Baumgartner tripled into the right field corner to bring home three runs. “Offensively there is no substitute for hitting the ball hard,” said Viking coach Brian Nagy. “We’ve hit the ball hard here the last two games and hopefully we continue to do that. Tanner Pollard’s bases-loaded walk later in the inning pushed over the fourth and final run of the frame. Meanwhile Loeffler, who went to the mound in the fourth in relief of Eisel, was almost unhittable, striking out four of the six Blackbird hitters he faced without a Pettisville player reaching base.